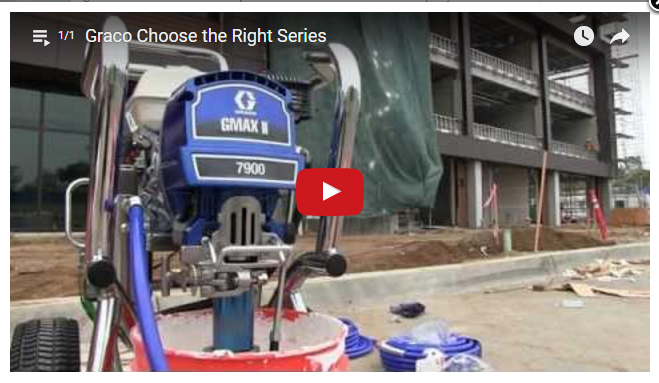 With a 200 cc Honda engine and the ability to spray up to 2.2 gallons per minute, the GMAX 7900 is Graco's largest gas mechanical sprayer. All 7900 sprayers come equipped with Graco's Extreme-Duty MaxLife pump, and they can handle the widest range of tip sizes, multiple guns, longer hose lengths and heavier coatings with ease. Heavy-Duty Prime Valve – Maintenancefree design withstands high pressure dumping. QuikReel – Deploy and rewind up to 300 feet of hose in seconds with out twists, kinks or coils. Ready To Spray – A total of 100 feet of hose and gun already installed.